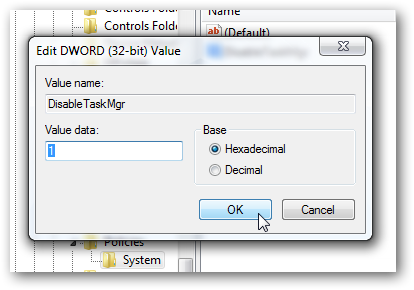 The Windows Task Manager is accessible by pressing Ctrl + Alt + Del, can be used to see the applications, processes, CPU, memory usage and other information. However, you can also delete a process being used and it may be interested to restrict users access to the task manager for security reason. It is specially an important part for creating a Windows 7 based KIOSK or embedded system, for banks or other institutions, or any where where the administrator simply do not want the user to know what operating system is running or simply to stop users to modify the registry. Now when you press Shift +Ctrl + Del, Simply nothing happens. When you press Ctrl + Alt + Del, the screen appears without the option to start Windows task manager. 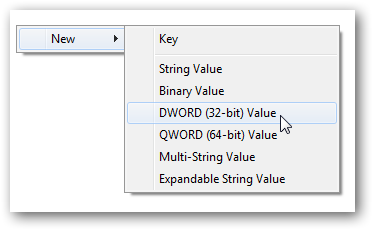 To re enable Windows task manager, simply delete the subkey you have created or, set the value to “0” (Zero). This Article Has Been Shared 1154 Times! 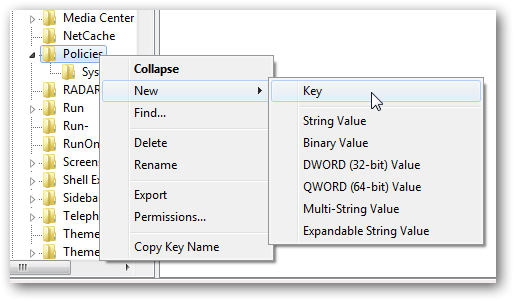 After reading this tutorial, you can get an option to show or hide hidden files in right click context menu in Windows 7. The reason behind writing this tutorial is, Windows 7 Home Premium does not have Group Policy Editor. So, we need to tweak it from Windows 7 Registry Editor. Cite this article as: Abhishek Ghosh, "Disable access to Windows Task Manager in Windows 7," in The Customize Windows, January 16, 2011, April 20, 2019, https://thecustomizewindows.com/2011/01/disable-access-to-windows-task-manager-in-windows-7/.